“But my mother won’t go and I don’t know what else to do,” says the caregiver in the back row, clearly at her wit’s end. She is referring to the fact that her mother, a Holocaust survivor, refuses to see the doctor or the social worker despite the fact that her physical and mental health are deteriorating. Her mother also won’t move out of her house, which is falling apart, and she won’t accept visitors, because she finds them threatening. The undercurrent of anxiety in the speaker’s voice is carried in a pregnant cloud over the room and reflected in many other eyes in the audience. We are sitting at one of the Claims Conference Family Caregiver Support Seminars, a series I was asked to create and implement. I had no idea what the series would look like at that time, or the extent of the impact the series would have on family caregivers, until its completion in 2014. Based on interviews with several mental health professionals focused on Holocaust survivor issues, along with my own knowledge of this unique clientele, I created 11 seminar topics – including physical, emotional, legal and concrete issues –that would be helpful to family caregivers of survivors in the tri-state area. Each month a Claims Conference grantee agency in the tri-state area hosted one of the 11 topics for their community. I carefully chose expert presenters who would carry out the purpose of the series: to support, educate, and empower family caregivers, particularly those who struggle with the added layers of their loved one’s trauma from the Holocaust. The feedback from caregivers and professionals alike about the presenters was overwhelmingly positive. It was an enriching experience for me, as I created, implemented and participated in the series. I learned a tremendous amount, not only from the presenters and agencies, but from the audience — the caregivers — themselves. Because I was overseeing the whole series, I was afforded a bird’s-eye view of several trends often voiced in the audiences. While nothing new, these trends are noteworthy, because they share an underlying theme of (justifiable) anger. Old age is often a loss in and of itself (Walter & McCoyd, 2009), whether it mean a loss of one’s faculties, of one’s friends or family members, a loss of society’s interest, or even a loss of the Self. An aging person has fewer people around them who really know who they are, who know what motivated (and perhaps still motivates) them, what sparks their interest, and what their essence is/was like. As the elderly move further away from childhood, there is less tangible evidence of how they came to be or who they are today. And, as technology takes over, the survivor often experiences a loss of role and function in society. Their personality, skills, knowledge, and experience might still be inside of them, but it’s hard for people to see all of that behind the aging body, which is devalued in modern times. Furthermore, there is less opportunity to appreciate the survivor, especially for the caregiver, whose time is taken up with more practical matters. And, as the survivor may be more and more focused on his/her aging body, there is less mental space to focus on who they really are inside their aging bodies. There are various “dance” patterns (Minuchin, 1974) that reflect the fear that exists between the caregiver and survivor – fear for the other and for themselves. To ask the survivor and his/her family to plan for the survivor’s end of life care is extremely painful. And the end is inevitable. It is so ironic that survivors managed to live with so much neglect, torture, and starvation during the war only to face the fact that their bodies are weakening from old age. And old age is an enemy that cannot be combated. Family caregivers are often left to carry unhealed transcendent and relational trauma from their survivor parents. They feel guilty when they cannot “save” their parent/s from current problems. They feel helpless. No amount of giving on their part seems to be enough and the resistance for help on the part of the survivor only renders the caregiver more helpless with deep feelings of failure (Sachs, 2013). The dynamic of resistance and helplessness can be circuitous and ongoing and can be very destructive to both the survivor and caregiver. And it’s the caregivers who are the ones that have to observe their parents going through the inevitable process of aging often on a daily basis. Having sat in all the seminars with family caregivers, I have noted and felt their occasional deep-seated anger, whether it’s the anger about something their loved one did, anger at not being able to care enough or be enough for their loved one, or anger at an agency for not giving enough services or compensation for their loved one. There is such deep-seated rage at themselves and the world for not giving their “loved-one-the-Holocaust-survivor” what they deserve and what they are entitled to. I believe this never-ending rage parallels the never-ending pain that the survivor carries, whether subconsciously or not. And I do not say this in judgment, only as a caring observer. According to Attachment Theory (Bowlby, 1982), a lack of attachment in early childhood can be very detrimental throughout all development stages, and, if left untreated, can cause deep-seated, pervasive trust issues that can have an impact on all areas of life. But it wasn’t only the Holocaust survivor’s attachment to their parents that was disrupted and torn. And it wasn’t only their attachment to siblings, cousins, aunts, uncles, grandparents, friends, neighbors, or community members that was compromised. The internal rift was with entire nations, which could inflict or passively observe such inhumane crimes. Even more so, there exists a relational chasm between survivors and humanity as a whole, which failed to protect them and keep them safe, a right that every individual, and most certainly a child, has to expect. As if that weren’t enough, for many survivors the break with trust was the most fundamental and pervasive, because it affected their relationship with their Creator. That’s a lot to carry inside one person, or even in three generations. I have seen survivors’ anger be projected onto an unsuspecting, and often untrained, professional caregiver, who absorbs the helplessness of the family caregivers. The family caregiver’s anger can come out as a complaint about this service or that staff member. Often the professional caregiver/mental health professional cannot contain this transferred anger and helplessness and must project it onto another source, perhaps within their own personal life or onto the organizations that fund the agencies providing the services. Let me be clear. There are very legitimate complaints that need to be made to an agency or to professionals about real problems with care being given to a survivor. There are also many times when the problem is really not with the system, the agency, the professional, or the funding organization; the complaint serves as an outlet for anger that is really about the helplessness that no assistance will ever be enough or make up for what the survivor suffered and is currently suffering. While working at the Claims Conference, I have gained a global perspective on Jewish agencies around the world catering to the needs of Holocaust survivors living such vastly different lifestyles, whether in countries whose governments offer assistance or not. I see so many staff members around the world who are doing so much, putting in so much effort to help survivors and doing a wonderful job serving them. But can all the beautiful work we do ever be enough? At the same time I wonder how many survivors and caregivers have vented their anger and pain at the Nazis to others, to a therapist or even in their own imaginations. The idea of raging at a Nazi might be too scary, because opening that wound may risk emotional or physical harm to the self or to others. Let’s face it, the kind of rage a survivor may be carrying is not for the polite, general public. This is real, primitive stuff. One might feel one could drown or suffocate in this kind of anger and helplessness and never get out. Even if one were willing or able to express this pain, could words really capture what the Nazis did? Trauma therapists have long understood the need for non-verbal treatment modalities (such as EMDR, Somatic Experiencing, Drama Therapy) for trauma survivors, especially pre-verbal trauma, or trauma experienced by older children. There are tragedies that go beyond the verbal, but are very present in the brain and affect many aspects of life. If the anger was suppressed by survivors in an effort to survive, build, and live normal lives after the war, and it transcended into the second or third generation, consider that those generations have also never had the chance to vent their anger and pain at the true perpetrators, the Nazis. Let us take a moment to acknowledge Holocaust survivors’ achievements, despite the depth of their pain, and admire how they rebuilt themselves and their communities without having the opportunity to vent their anger or see real justice done. Other cultures could learn much from the Jews about how to cope with tragedy and anger. Nevertheless, the anger and pain is there and needs an outlet, and so it will likely rear its valid head at some point in a seminar audience, in a social service agency, and inside of all of us to some degree. The caregivers’ subconscious complaints are correct. There will never be enough money, enough services, enough care and consideration for Holocaust survivors, no matter how hard agencies work and no matter how much money is negotiated from world governments on their behalf. Of course, the community needs to try more, help more, problem-solve more, negotiate more. The work is never done. But realistically, it can never be enough. That is the silent message hanging in the air in the room of the seminars, and that is the unexpressed response to the anger and pain in the room. The elephant in the room is helpless, tied by an unforgiving truth. But in all the conversations I have had with those working in the field, this anger that is really aimed at the Nazis is never discussed. For some, perhaps, it is a futile given, for others it is buried or invisible. It is an anger that is silent. But the souls of survivors, whether alive or gone from this earth, are crying out still. And, so, in response to the caregiver in the audience carrying such heavy frustration, having tried so many failed options in an effort to take care of her “loved-one-the-Holocaust-survivor,” the presenters address the issues appropriately, drawing on their expert knowledge in the medical, psychological, or historical fields, while the elephant watches silently on. And I sit there filled with compassion and wonder if there is enough empathy to fill the Holocaust survivor’s need? And sometimes I feel helpless. Can I acknowledge that as a professional caregiver for a moment? Helplessness, unlike despair, still has room for action and solution-finding, but helplessness is a bad word in the world of the Jews, and certainly in the world of the Holocaust survivor. Survivors really do know what it feels like to be physically, spiritually and emotionally helpless, and they never want to go back there; and on some deep level, the caregiver’s inability to acknowledge his/her own helplessness is testament to their refusal to allow their loved one to go back there too. A special thanks to the following agencies and their staff for hosting the Claims Conference Family Caregiver Support Seminars: Guardians of the Sick Bikur Cholim Chessed Organization, JFS MetroWest of NJ, Pesach Tikvah, Ohel Children’s Home and Family Services, and Va’ad Refuah. Much appreciation to seminar presenters Toby Weiss, Dr. Irit Felsen, Harriet Blank, Dr. Barbara Paris, Oscar Straus III, Esq., Dr. Paula David, Dr. Joshua Schor, and Leah Gelernter. You can view the seminars on the Claims Conference website. Bowlby, John. Attachment: Attachment and Loss Vol. 1. New York: Basic Books, 1983. Cohen, Abraham, and A.J. Rosenberg, eds. Soncino Press Books of the Bible. New York: Judaica Press. 2003. Danieli, Yael. “Differing adaptation styles in families of survivors of the Nazi holocaust.” Child Today, 10 (1981): 6-10. Lifton, Robert J. Death in Life: Survivors of Hiroshima. New York: Random House, 1968. Minuchin, Salvador. Families and Family Therapy. Cambridge, MA: Harvard University Press. 1974. Twelve Steps and Twelve Traditions. 1953. New York: Alcoholics Anonymous World Services, Inc. 2012. Sachs, Adah. “Intergenerational transmission of massive terror: the Holocaust.” Terror Within and Without: Attachment and Disintegration: Clinical Work on the Edge. Eds. 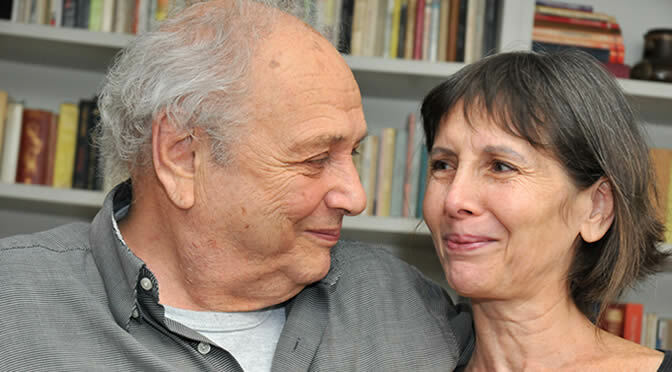 Judy Yellin and Orit Badouk Epstein. London: Karnac Books. 2013. 21-37. Walter, Carolyn Ambler, and Judith L. M. McCoyd. Grief and Loss Across the Lifespan: A Biopsychosocial Perspective. New York: Springer Publishing Co., 2009.